A new biography of the famed Italian Renaissance polymath from the author of Steve Jobs, Einstein, and Benjamin Franklin. He comes to life in all his remarkable brilliance and oddity in Walter Isaacson’s ambitious new biography ... Isaacson’s approach, true to his background, is fundamentally journalistic. No intellectual peacocking for him, and though his writing is certainly graceful, it is never needlessly ornate. But make no mistake: He knows his stuff, crowdsourcing, with extreme diligence, an array of art, historical, medical and other experts to arrive at a vigorous, insightful portrait of the world’s most famous portraitist. Da Vinci groupies won’t find startling revelations here. Isaacson’s purpose is a thorough synthesis, which he achieves with flair. Walter Isaacson follows dozens of clues to reanimate Leonardo da Vinci, one of the boldest of these border-crossers. Though Leonardo wrote endlessly, he revealed little directly about his inner life. Without fuss and without Freud — though Dan Brown, unfortunately, makes an appearance — Isaacson uses his subject’s contradictions to give him humanity and depth ... As Isaacson follows Leonardo from one locale and occupation to another, his energy never fails and his curiosity never dims. Again and again he turns up a surprising and revelatory detail ... Isaacson shows that the work of great scholars like the Leonardo specialist Martin Kemp can be exciting in its own right ... Connecting these dots — showing that Leonardo shared interests and ideas with many predecessors and contemporaries — would have made Isaacson’s history even richer. Then again, the choice of a tight angle lens might have been deliberate. After all, Leonardo himself painted his portrait subjects against blurry, indistinct landscapes. There is a significant difference, though, between Leonardo da Vinci and Isaacson’s previous biographies. 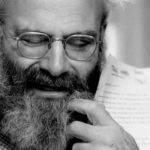 His other geniuses left behind bountiful source material about the lives they led. Leonardo did not ...what Leonardo’s notebooks lack — which Isaacson readily concedes — are 'intimate personal revelations' ... Isaacson does not seem to be that kind of writer. Absent the documentary material he’s accustomed to, he overcompensates with copious analyses of Leonardo’s works ... Isaacson is stronger when he’s on familiar turf, showing us Leonardo the scientist and innovator, the engineer and secret doctor ... 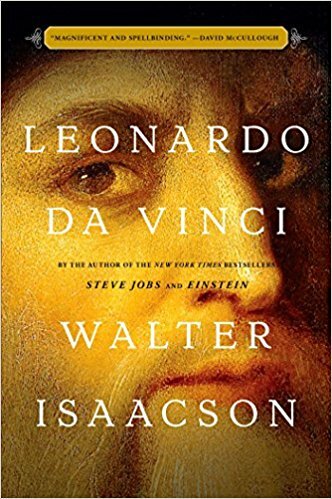 The pleasure of an Isaacson biography is that it doesn’t traffic in such cynical stuff; the author tells stories of people who, by definition, are inimitable ... What endures after reading Leonardo da Vinci is just how indifferent to glory the man was. What did you think of Leonardo da Vinci?